Besides serving the patients with exceptional services and exploring newer possibilities in the medical industry, waste management is among the most prominent tasks performed in a healthcare system. If you belong to the medical domain, you understand very well the need for managing medical waste properly for the safety of everyone. Does your facility follow best practices and are you providing the safest process for your employees? Are you sure that the waste disposal process is not making a hole in your pocket? No matter what your answer is, going through this blog related to sharps disposal will help identify these best practices and potential saving opportunities for your facility. Most medical practices believe that any item that comes in contact with the bodily fluids or infectious materials is a medical waste, and so must be disposed of using Sharps disposal containers. This is not the case for small quantity generators of waste. According to OSHA definitions, an apparatus with a trace level of contamination can be placed in a municipal solid waste. Doing so will enable you to minimize the waste placed in medical waste disposal containers. Since the cost of the disposal depends directly on the quantity of waste generated, this will drastically reduce the expenses involved. In a layman’s terms, medical waste or Sharps refers to the instruments that can cut, prick or cause injury, like needles, broken glasses, capillary tubes, etc. Injuries caused by this equipment can become contaminated with blood, resulting in diseases like HIV (0.31%), Hepatitis B Virus (33.3%) or Hepatitis C Virus (3.3%). Various health practices employ safer medical devices, such as needleless instruments or equipment utilizing built-in protection to prevent contact with the contaminated sharps. However, the more practical method is the immediate disposal of infectious sharps. The FDA-cleared sharps disposal containers are designed specifically to safely contain and store sharps until disposal. They are coded with different medical waste disposal color codes and are available through medical supply companies, pharmacies, healthcare providers, and online. These containers come with a fill line, which indicates when it is ready to be disposed of. Most sharps containers cannot be filled 100%. There is a fill line identified on every sharps container that limits filling the container to no more than ¾ full in most cases. Once filled, they are properly covered with a lid to ensure that the contents are safely stored and disposed of. In addition to this, the disposal containers are puncture-resistant to ensure a safe medical waste management experience. According to this regulation, workplaces such as health care centers must employ engineering and work practice controls to prevent injuries. These controls include use of safety needle devices, needle destruction devices, tracking of needlestick injuries on OSHA’s 300 log, and other mechanisms for medical waste management. 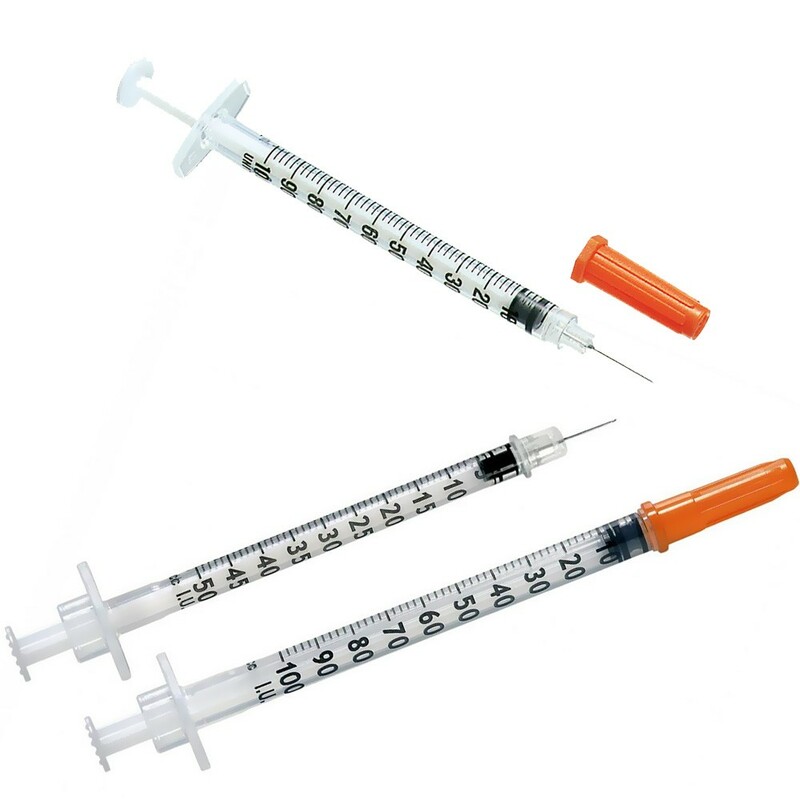 According to the medical experts, instruments like self-injectors are not subjected to the rules, unless state regulations have transportation and disposal rules for “at-home” generated sharps. 49 CFR 173.134 (a) (7) defines sharps as objects that can cut skin and contaminate it with a pathogen. The rule offers some examples such as needles, broken glass, scalpels, etc. 49 CFR 173.197 demands that sharps should be placed in rigid and leak resistant containers that remain unaffected by moisture and are strong enough to prevent tearing or bursting during normal conditions of transport. On top of this, the containers should be puncture resistant for sharps and sharps with residual fluids. As per this regulation, anyone who mails sharps waste should use USPS-authorized packages that have been tested and proven to meet federal (DOT) hazardous materials packaging standards. The use of authorized packages is basically to ensure that leaking or damaged containers do not enter the mail-stream and affect the lives of the postal employees or anyone involved. In this technique, the hired pick up company comes to your door or facility for collecting and disposing of the medical waste. Such companies either offer regular pickup schedules or comes on being called. This method is convenient, but quite expensive especially when the companies charge monthly. Since the collection of disposal is not possible every single day, it is better to choose the mail-back program over the pickup services if your facility generates small quantities of waste. 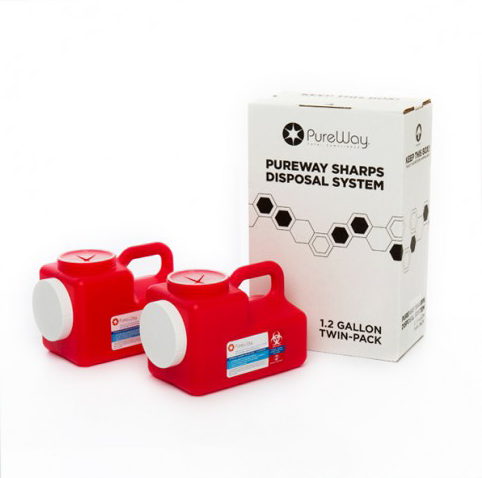 Under this category, a regulated sharps disposal container will be shipped to your practice, filled and then shipped using a authorized PureWay Sharps Disposal system to safely transport and dispose of this waste. Now, that you can see how efficiently executed waste management can help hospitals in limiting the staff exposure to pathogens and save money on disposal, PureWay Compliance can help guide your facility towards better compliance and reduce sharps disposal cost.